? WHY OUR FISHING MAGNET IS BETTER ? %100 BRAND NEW & %100 MONEY BACK GUARANTEE !
? 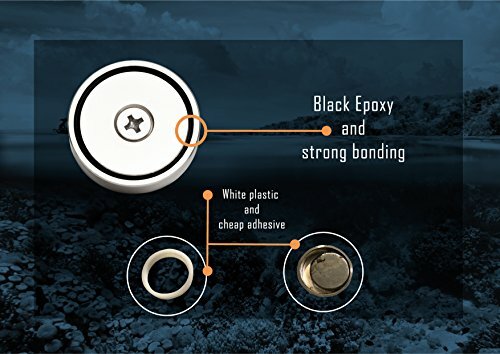 Extreme strenght with black epoxy bonding. ( prevents cracking of magnet or spliting from the steel plate ).
? 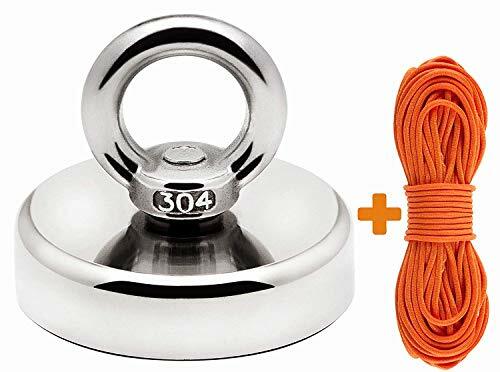 1.97" (5 cm) magnet diameter and 2,36" total base diameter ( bigger magnet diameter provides more lifting strength than other similar products ).
? 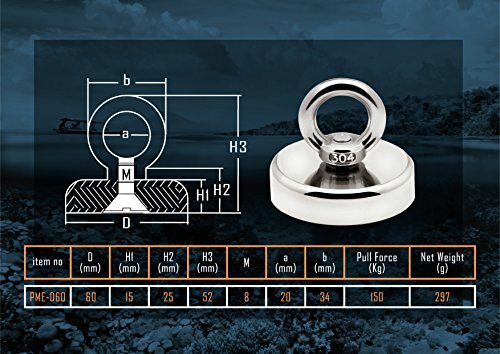 Eyebolt connects magnet to the steel plate which avoids crakings ( most products are connected with weld which can be broken because of heavy loads ).
? 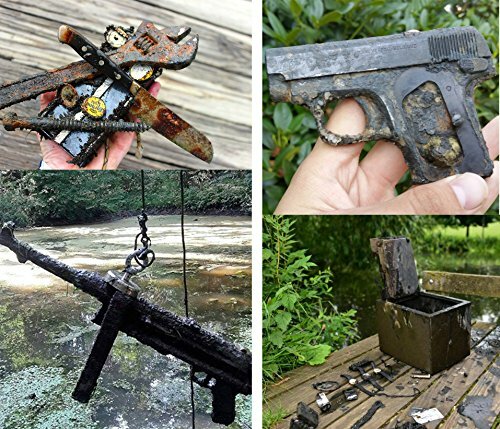 Includes free 100 feet magnet fishing rope.
? 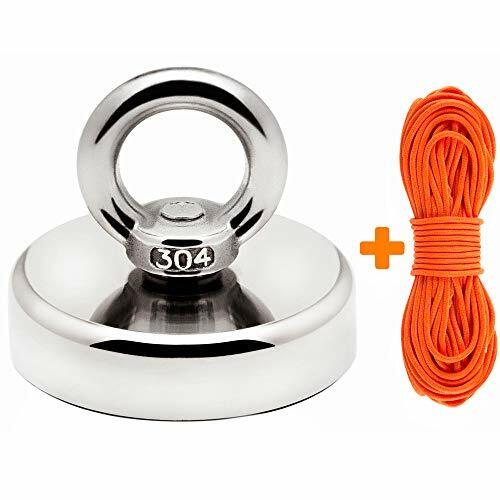 Super powerful round-based neodymium magnet The magnetic force is concentrated at the bottom. the other sides of the magnet is protected by steel cup. The diameter of the base is 2.36"(60mm) ? Powerful magnetic field --- A strong neodymium magnet bonded to steel plate offers 330 lbs(150 kgs) of pulling strength. Neodymium magnets keep their strong magnetic properties for decades under ideal conditions. ? Strong bonding material --- Magnet is bonded to countersunk with black epoxy to prevent detachment. (Common bonding with white plactic ussually cause to lose magnets. You can pull back our magnet confidently from water. The magnet will not split off the eyebolt. ? Triple layer Nickel-Copper-Nickel coating --- Neodymium magnets can lose its magnetic properties due to corrosion. layer coating with shiny surface provides best protection against corrosin and rust. ? Includes 100 feet(30 meters) long rope.